Shadows Peak early access release date! 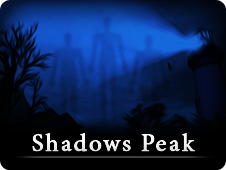 Shadows Peak release date is set to 03/18/2016. You can check updated trailer that features footage from a fresh build of a game. I’ve also added more detailed description for minimum system requirements. United States price is set to 7.99 USD, but there will be -15% launch discount. Game is priced differently in different regions. I want to use this opportunity to say thank you to all playtesters and beta testers who helped significantly improve quality of a game. Once again, my blog post in inspired by youtube video. Author of this video, believes that in 5 years, popular horror game Five Nights at Freddy’s will lose it’s cultural relevancy. I tend to disagree with that statement. The reason is quite simple. There is not that many popular horror games and because of that, the ones that do manage to get popular are being relevant and discussed for many many years. Silent Hill games are a good example of this. First Silent Hill game still gets reviewed by modern youtubers. There are active podcasts dedicated to Silent Hill. There’s still active discussion about meaning and influences of Silent Hill games and of course, those games constantly are a part of conversation, when people are talking about horror genre in video games. And this is despite the fact that Silent Hill 1, 2, 3 are very old games. Almost same thing happened to Amnesia: The Dark Descent. If you need some proof links. Here’s an active youtube channel that is mostly dedicated to Silent Hill. Here’s an active podcast dedicated to Silent Hill. Here’s a relatively young youtuber that reviewed all Silent Hill games in 2015. Here’s a youtube channel that discussed Silent Hill monsters in 2015. For a person who is interested in horror genre, it doesn’t feel like Silent Hill 1, 2, 3 were released 15 years ago, cause everyone is still discussing it. That’s why I believe that FNAF might still be relevant in 5 years and any horror game that will menage to get popular will be culturally relevant for a long time. This video inspired me to share some tips on playtesting. I’ve been in playtesting stage for around 3 months and I can say that my game became at least two times better during that period. Here’s some playtesting tips that worked for me. 1. While I’m an introvert, I still prefer playtesting using Skype screen share feature, over recorded video. The reason is that I don’t believe that most people are natural let’s players and this will cause them to not speak as much, so I would not get a good insight in their mind. When there is a real person on the other side that is currently listening, it is easier for playtester to speak. This also me gives me an ability to remind them that they need to speak, ask them questions related to the specific scene or actions and give them a hint, when I see a problem in a game. And I do record video of the whole process on my side. 2. Maybe this is not the best approach for every game. But for my singleplayer, story-driven game, I use only virgin playtesters and virgin builds of a game. What I mean, is that I don’t reuse playtesters and almost every playtester sees new build. So my playtesting loop looks like this. Playtester plays latest build of my game -> I make changes to the game and make new build -> New playtester plays new build -> I make changes and make new build… As you see, I prefer quality over quantity. 3. Use everyone you can for playtesting. Even people who are not your target audience can provide a lot of valuable information. This approach might also make your game more appealing to a wider audience. 4. If you are making game for Steam and you’re already greenlit. Use steam keys to distribute test builds, this approach gives you a lot of advantages. Probably the biggest advantage of using Steam for playtesting is that steam provides DRM that is easy to implement, it will help protect your builds from leaking to the world wide web. 5. Non disclosure agreement is not an easy problem to solve. I’ve made a compromise. I don’t require my playtesters to sign NDA, but I’ve use Steams custom EULA option to help me with NDA. When playtester launches a build of my game, he needs to accept my custom EULA and I’ve basically put text of NDA there. I will disable EULA before game release. 6. While I do prefer Skype screen sharing + Shadow Play recording on my side. There are some decent alternatives. If you’re asking playtester to a record video, I strongly recommend Nvidia Shadow Play or Ati build in video recording tool, because they are almost don’t affect frame rate of your game. For real time streaming, Steam streaming or services like Twitch are not that great, cause they have a huge video delay. If, for some reason, Skype screen sharing is not an option for you and your tester has decent Nvidia card and he’s not afraid to install extra software, I would advice to install GeForce Experience Share beta. It has ability to share screen to Google Chrome. It provides good quality and good frame rate, and it almost doesn’t affect game frame rate on playtesters PC. 7. While I know about the rule “test as early as possible”, I believe, that it is not applicable for every game. 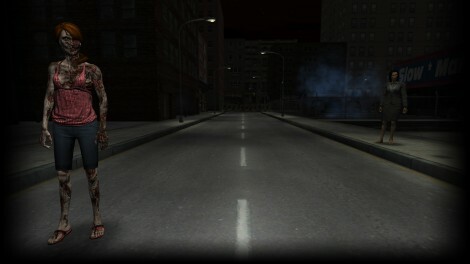 For example my game depends on content and atmosphere. So I do believe that starting playtest too early for my specific game, would be a waste of time and more importantly, waste of playtesters. Overall I can’t overstate the importance of playtesting. As I’ve mentioned before, I strongly believe that it helped me to significantly improve quality of my game. I also enjoy this period as game designer, cause I enjoy to see how the quality of my game improves. I enjoy solving game design problems, cause it involves a lot of creativity and I have no problems with motivation, because when I see problems with my own eyes, I’m very motivated to solve them. Some time ago I’ve started to move away from Creashock Studios brand, but I’ve noticed that people still refer to my work as a work created by Creashock Studios and not as projects created by Andrii Vintsevych. Today I’ve decided to erase all references to Creashock Studios from website and move website to new domain. As of today, this website is accessible from www.vintsevych.com url. For next 11 months www.creashock-studios.com url will also lead to this website, but after that time, this website will be only reachable using www.vintsevych.com url. There’s a lot of reasons why I’ve decided to move away from Creashock Studios brand, but the main reason is that Creashock Studios is a one man team. When people see Creashock Studios name, they expect a team of people, when in reality, there is only me. This might create false expectations and that is never a good thing. Since there’s only me working on projects under Creashock Studios name, I don’t get attributed for my work, because all attribution goes to a mythical entity called Creashock Studios. I don’t think that this is right, so as a one man team I’ve decided to stick to my name instead of Creashock Studios brand. It might sound unprofessional in some circumstances, but I believe that it’s just a right thing to do. 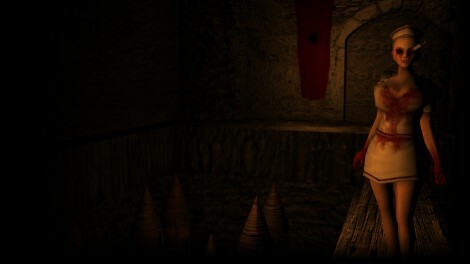 My horror shooter game about abnormal fear of women Gynophobia released on Steam. You can grab Gynophobia with a 50% discount. 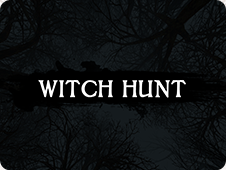 A lot of important features were added during early access period. Things like full controller support, advanced graphics options, rebindable keys, new languages etc. I want to thank everyone who helped me to make Gynophobia a better game by providing feedback during Early Access period. 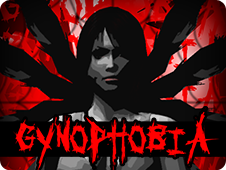 My horror shooter about abnormal fear of woman called Gynophobia released on Steam as an Early Access title. Game is playable from start to finish and it was already tested by people. 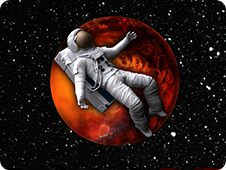 Current Steam version has been improved significantly compared to the version available on Desura. Also current steam version includes Steam Trading Cards. Game is available for Windows and OSX, although OSX version is a bit out of date compared to the Windows version. I plan to add Linux version a bit later. I’ve also updated all screenshots and trailer. Here’s couple profile backgrounds that you can get on Steam if you craft and trade cards from Gynophobia.